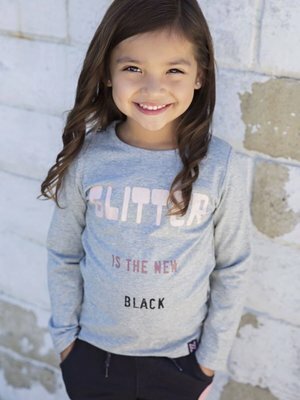 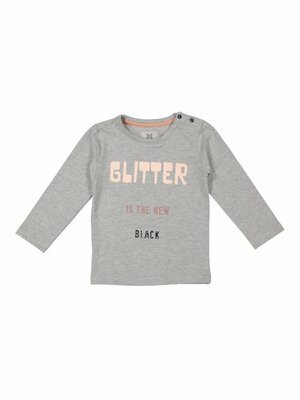 Girls long sleeve sparkly imprint. 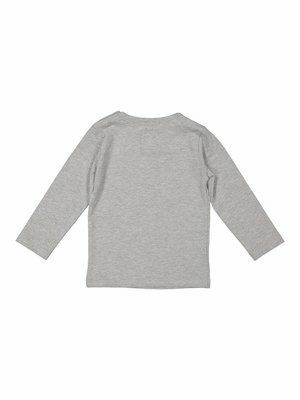 The long sleeve comes in the color gray and has a pale pink/black print. 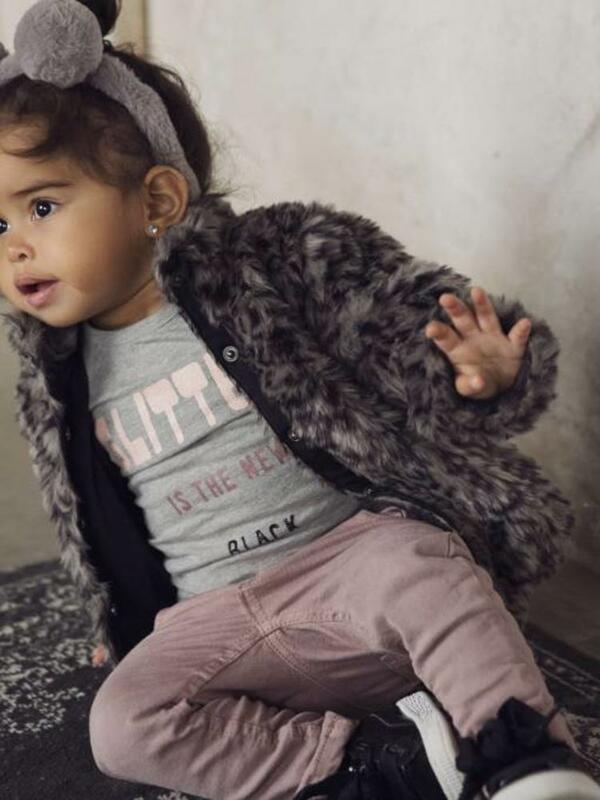 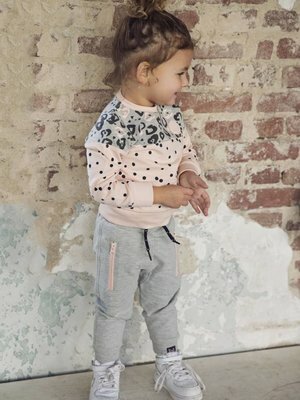 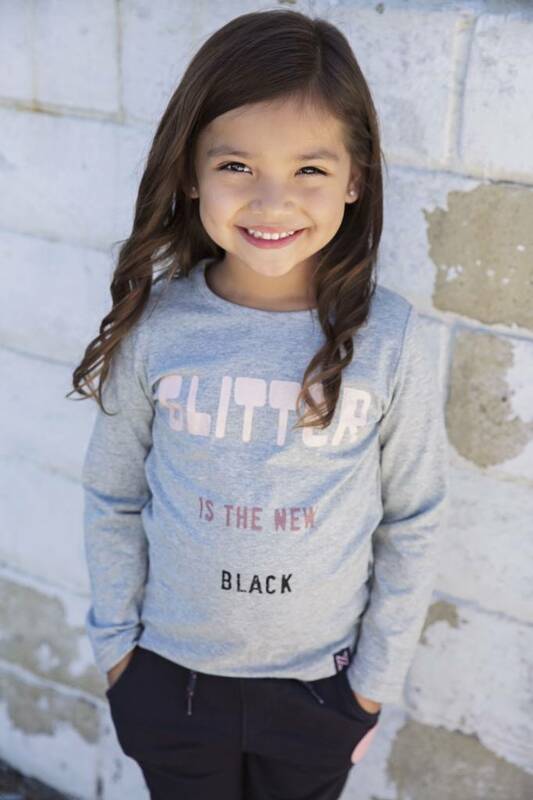 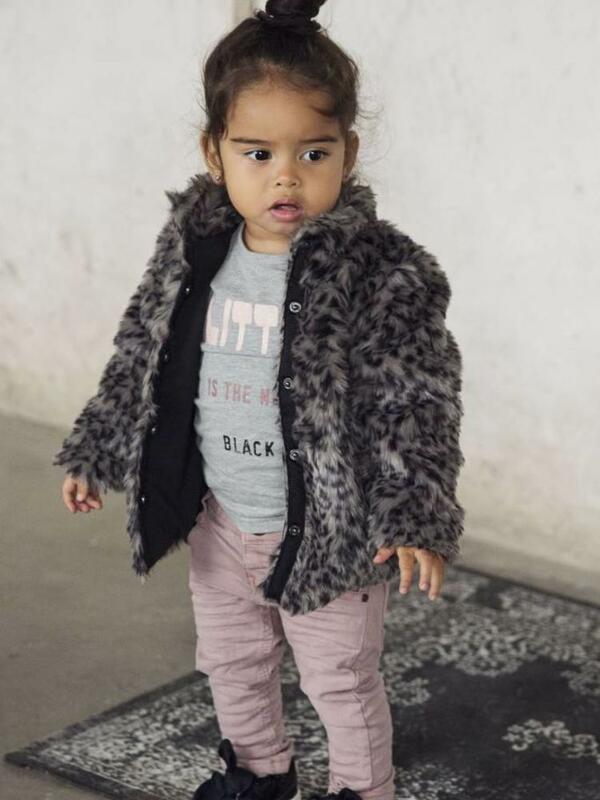 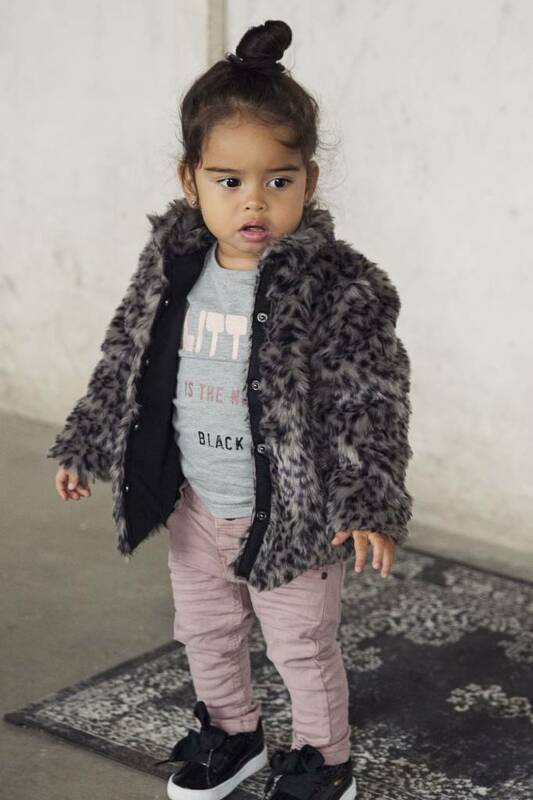 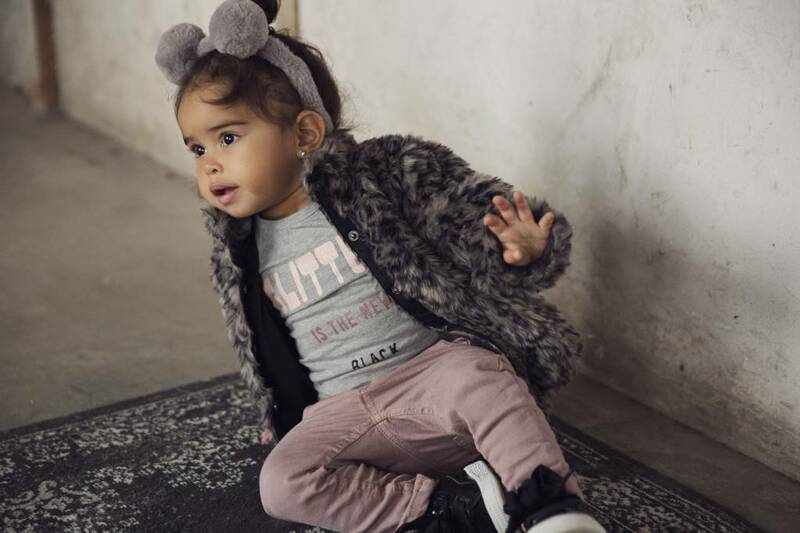 This gray girls longsleeve is printed with our new motto: 'Glitter is the new black'!